Find or order Mercedes-Benz factory parts with quality prices at Independent Mercedes-Benz in Greensboro. Serving Winston-Salem, High Point and Burlington. 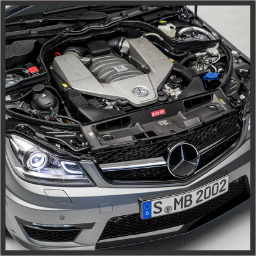 Your Mercedes needs to be running like new, come to Independent Mercedes-Benz of Greensboro for high quality auto parts built specifically for your Mercedes-Benz. Our parts department has access to more than 100,000 factory-original Mercedes-Benz parts, so we can offer the best selection. When you choose Genuine Mercedes-Benz Parts, you enjoy the reassurance that comes with our Parts Limited Warranty. Residents in the Greensboro, Highpoint, and Winston-Salem area can rest assure that we use OEM parts. We have a fully stocked auto parts inventory. We'll provide you with answers to the most common questions about buying auto parts for your Mercedes-Benz. At Independent Mercedes-Benz of Greensboro we also offer Mercedes-Benz car repairs, so take advantage of quality service and auto parts deals all at the same place. Schedule a car repair appointment online by completing our service appointment form below, and our service department experts will get your vehicle in top running condition quickly.